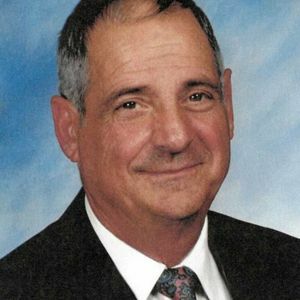 ANTHONY “TONY” S. MARTONE, 81, passed away on Tuesday, April 8, 2014, at Saint Anne Home & Retirement Community, Fort Wayne. Born Dec. 13, 1932, in Fort Wayne, he was a graduate of Central Catholic High School Class of 1951. Anthony worked as a switchman, supervisor, and director of safety with GTE for 37 1/2 years, retiring in 1990. He was the Commissioner of the PAL Football League for 52 years. He was a Eucharistic Minister at Cathedral of the Immaculate Conception; Past Commissioner of City Little League; and Past President of GTE Employees Club for over 40 years. Surviving are sons, Michael A. (Theresa Pappas) Martone of Tuscaloosa, Ala. and Timothy J. (Amy) Martone of Fort Wayne; and grandchildren, Anthony “Sam” Martone, Nicholas Pappas and Benjamin Martone. He was preceded in death by his parents, Antonio and Jenny Martone; wife of 56 years, Patricia Ann Martone; and sisters, Mary Lobrillo and Madeline Lobrillo.